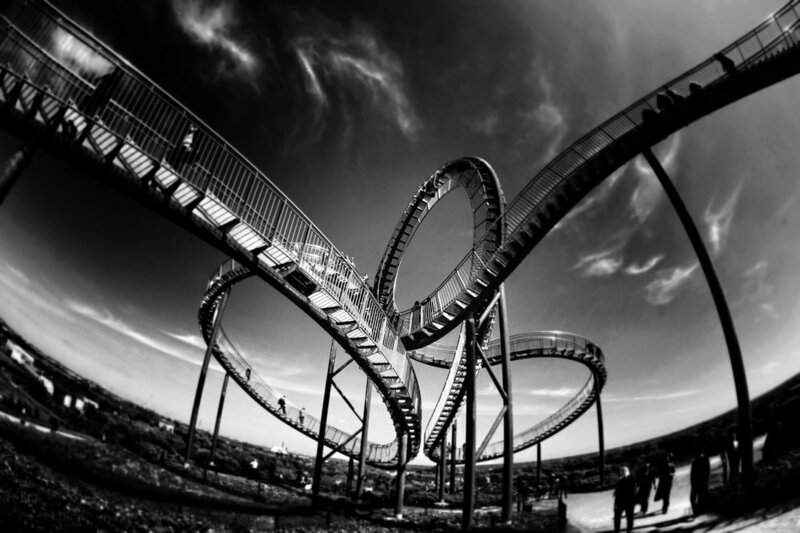 It is generally accepted that life is a rollercoaster. There are the incredible highs; the excitement; the thrills and spills that create moments that we will cherish forever. Then there are the devastating lows; the rough patches; the tough times we just have to grit our teeth and somehow managed to survive, trusting that things will eventually improve. If we believe the rollercoaster metaphor, then recovering from the difficult periods in life - unemployment, financial issues, housing problems, arguments, breakups, and so on - would be relatively simple. We’d simply tough the rough patch out, and then life would be back to normal - or even better than normal - before we know it, and we would make the transition from bad to good with relative ease. While in many cases people do indeed bounce back to their normal way of being, sometimes, things aren’t quite so simple. Even though the tough period has eased - perhaps a housing problem has been solved by finding the right property, financial worries have eased by taking on a successful side hustle, or a troubling argument with a loved one has been resolved - many people still feel jaded by what they have experienced. The fact that, sometimes, people feel they can’t immediately return to normal even when the issue that has troubled them has been resolved is a puzzling one. You may have experienced it yourself; everything is supposed to be okay now, but you’re still struggling, even though it’s technically in the past. Think of a difficult period like an injury - a blunt force injury, that knocks the wind from you, and impacts everything you do for a significant period of time. While the initial pain of the injury itself may fade, there will be a bruise that lingers for weeks if not months. If you’re struggling to “bounce back” after a trying experience, then you’re still in the bruise; it might not be painful anymore, but the aftermath of the injury will linger. Let’s say that you’ve been through a rough patch, but your life has finally stabilized. The rollercoaster theory suggests that you’ll soon be back to loving life; but the bruise theory - as presented above - indicates that even when the pain of the experience has dimmed, you might still be left with a mark. However, that’s not to say that living with that mark is easy - in fact, it can be incredibly distressing. You want to move on; you have no practical reason not to move on, but your emotions don’t quite seem to have caught up. You continue to feel stressed, anxious, or even depressed, even though the root cause of the issue has been solved. When the above scenario develops, the natural response is - somewhat surprisingly - anger. You may find yourself wondering why your emotions just can’t catch up; why you can’t quite seem to accept that the past is the past and embrace the future and all the wonders it may hold. It’s important to note that the anger you may feel in such a scenario is entirely justified and understandable. Human emotions are tricky, and it’s possible to feel more than one emotion at once: you can feel relieved that a situation has resolved, feel the imprint of the harm it caused, and be angry that that imprint is there - all three responses are valid. So how can you move on? So you find yourself in a difficult scenario. Your life was turned upside down, which meant defaulting to survival mode and hoping to get through. Then, you did get through, and things should be stable now, but the imprint is lingering, and you’re now angry about the imprint and dealing with other troubling emotions at the same time. To deal with such a complicated matter, you’ll need to set priorities. In such a scenario, many people will focus first and foremost on the anger they are experiencing, potentially following anger management tips in order to do so. While focusing on the anger can be beneficial, and is well worth considering as part of your recovery process, it is worth noting that anger is more of a symptom of an underlying issue - and ultimately, it’s the underlying problem you will need to solve. So, having said that, the immediate question is: what is the underlying problem you are dealing with? You can’t change the past, and besides, the issue has since resolved, after all. The real issue you need to focus on, then, is the bruise; the lingering mental and emotional impact of what you have recently experienced. In the next section, we will discuss specific ideas that can help you to recover from an emotional bruise, but we first need to focus on the importance of allowing yourself to acknowledge and accept that the bruise exists. For many people, accepting an emotional bruise exists can be tricky - but it is an undeniably necessary step. Emotional bruises are inevitable; while many of us may hope that we can quickly recover from a trying period in life, the simple reality is that human emotions change slowly, and it can take some time for our mind and body to update - so to speak - to a new, safer period in life. By saying that the emotional bruise of what you have experienced exists, you’re essentially giving yourself licence to not be okay. There is a real power in telling yourself that you don’t have to bounce back or return to your usual way of being; that it’s okay to feel sad, or anxious, or stressed. You’ve gone through something, and it’s far healthier to feel the bruise rather than bottle up your emotions and try to pretend everything is okay. By acknowledging the bruise exists, and that it might take you a while to get back to your version of normal, you will likely feel a sense of relief, understanding that it’s okay to not be okay. Look for ways to boost your self-confidence. If you’ve been through a rough patch, then the chances are that your self-confidence will have taken a knock, which can make recovering from that difficult patch all the more challenging. You should, therefore, find that focusing on ideas that can help you feel more self-confident every day can significantly improve your overall emotional well-being. Keep a diary. When healing from a trying period, you will inevitably have good and bad days - recovery from anything is never linear, so expect some form of variation. However, when you have a bad day, you will likely find that you come to think nothing has changed or improved at all; a diary, which notes the good days as well as the bad, can help to provide a more balanced picture. Consider self-hypnosis. 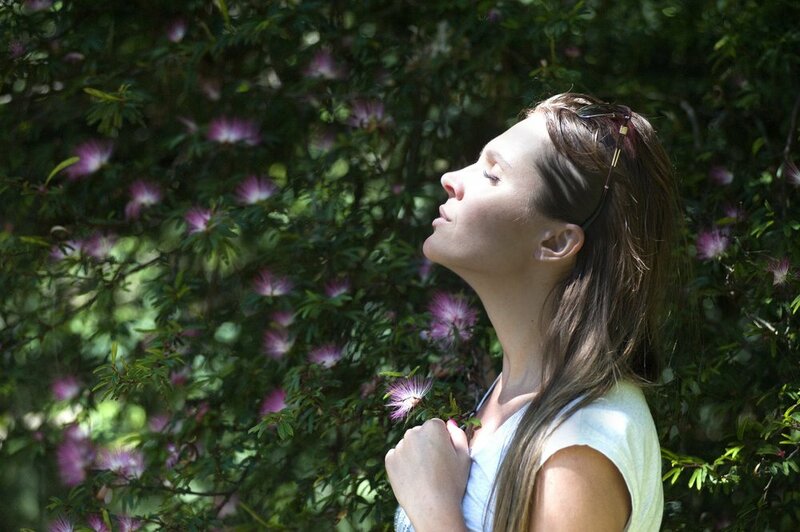 Self-hypnosis is a wonderful way of working on your mindset without the need to find time in your schedule to attend an appointment; experts such as Mark Bowden provide audio and video guides that you can use as and when suits you. Learn what you can from the past. While you may find that you don’t want to think about the experience you are recovering from, it can be beneficial to try and learn from it - when you feel strong enough to do so. Many people find that by learning from past issues, they can put safeguards in place that prevent those issues from reoccurring, which helps to provide a sense of safety and reassurance that greatly aids their overall recovery. Confide in your friends and family. If you feel comfortable doing so, telling your friends and family what you are going through can be incredibly useful. You can outline that while you’re glad the rough patch is over, you’re still dealing with the aftermath and that it may be a while before you are 100% yourself again. Such a conversation helps to alleviate any social pressure you may feel while recovering, while also providing an opportunity for friends and family to provide valuable emotional support while the bruise heals. Life may well be a rollercoaster, but it can also be a long ride, and the journey back to normal is not always as smooth and seamless as we may hope. Hopefully, reading through this guide will allow you to recover from difficult periods at your own pace, aided in this quest by the tools and ideas presented above.